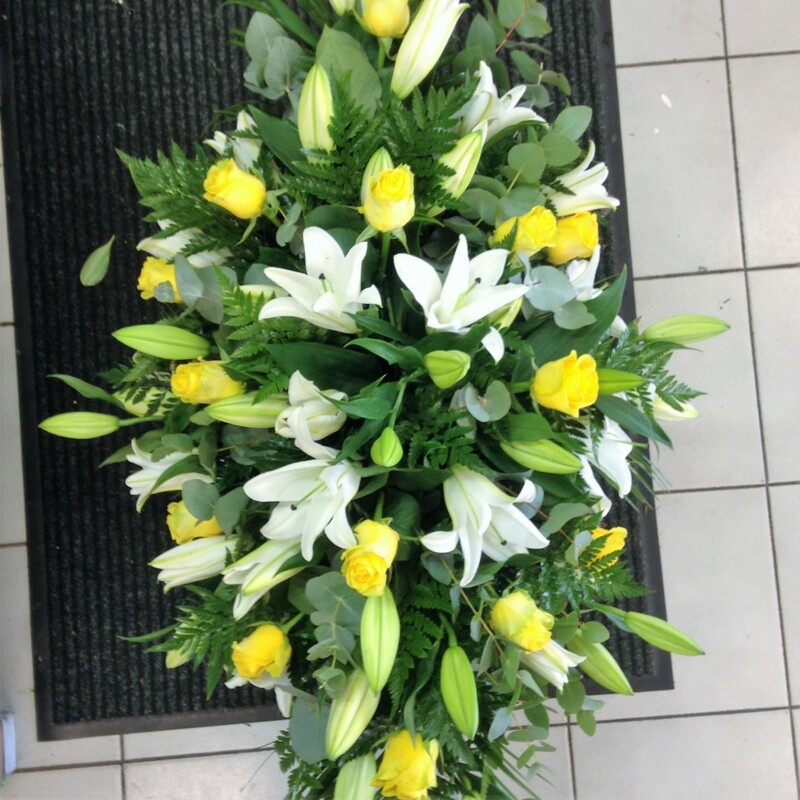 At Reebees we are delighted to present the Lily and yellow Rose Casket . This stunning Casket has a beautiful selection of white Lilys and the very best yellow Roses. The Lily and Rose Casket is available for delivery in Pensby, Ruthin,Denbigh and all surrounding areas.